Why A To Z Car Detailing? With over a decade in the mobile car detailing business, we know what it takes to provide clients with consistent, high-quality auto detailing services. From Ceramic Coatings to magically removing those winter salt stains. Questions? A to Z Detailing is an Approved Installer of FEYNLAB® Ceramic Coating, the highest level of Automotive Paint Protection & Maintenance available. Plus we offer Mobile Ceramic Coating Services for Residential & Dealers. Located in Thornhill, We come to you – Book an appointment today. 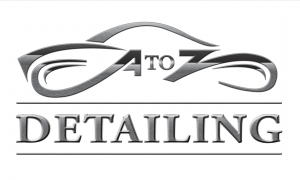 We’ll come to Vaughan, Woodbridge, Richmond Hill, Toronto & beyond with A to Z Detailing 7 days a week from 9am – 7pm. Check out our Detailing Packages here. With over 12 years of experience, A to Z Detailing has proven time and again that we are not an average car detailer. Working on vehicles that have exceeded an appraised value of 3.5 million dollars, we have garnered a stellar reputation and trust from our clients all over the Toronto area. Our Services range from weekly or monthly maintenance washes to complete vehicle renewal with FEYNLAB® Ceramic Coating. This is automotive detailing at its highest degree. Further services include new car prep; as even the most prestigious automotive dealers can leave light scratches and swirl marks on newly delivered vehicles. In addition to new car prep, A to Z Detailing specializes in restoring the paintwork, brightwork and interior leathers and plastics, and maintaining that new car look year round. Unlike other big box auto centres that offer car detailing as an upsell or add-on service, at A to Z car detailing is the only service we provide, and we strive for nothing less than perfect. We invite you to experience your automobile in a whole new light. I didn't think it was possible to make our car look brand new again. With two kids, the backseat is always a disaster zone. But Ari and his team did an amazing job detailing our car last night in our garage. Your work is thorough and flawless. Hopefully it will stay like this for awhile :) I would definitely recommend your company, and use you guys again!!! Thank you!!!! !